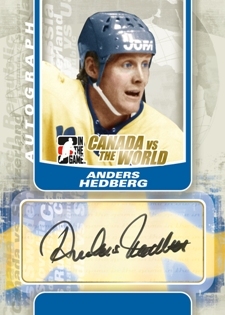 Good: Well designed product concept, deep autograph and memorabilia checklist, unique inserts chronicling international hockey, aesthetically pleasing card designs, decent value. Bad: ITG used to pride themselves on using on-card autographs and while the practicality of labels is understood, it's still disappointing but hardly a reason to knock the product as a whole. The Bottom Line: The Canadians' love of hockey is no secret and their routine dominance in the international arena is well-documented. To craft an entire product around this concept is brilliant and was well-executed. A deep memorabilia and autograph checklist that consists of some of the greatest players to ever lace up a pair of skates brings a fun break experience and relatively solid value. However, it's not just the Canadian players that are well-represented, but other countries as well including the US, Russia, and Sweden, to name a few. Each box of Canada vs. The World has nine cards: four game-used memorabilia cards, two authentic autographs, one 100 Years of Hockey Card Collecting card and two non-memorabilia inserts. 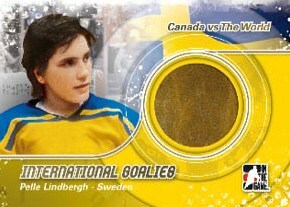 ITG's ability to design quality cards without team logos has always been impressive and this product is no different. The international uniforms lend themselves well to the overall layout and design of the cards and make for a truly colorful break. Featuring a cavalcade of players and personalities, the checklist documents the history of the game in international competition. 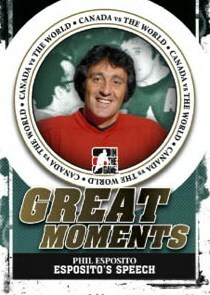 The non-memorabilia insert sets, particularly Summit Series and Roots of International Hockey, make for great reading. With a suggested retail price of $95, it coincides well with a product with six legitimate hits. The price per hit breaks down to a respectable $15.83 per card. I'd like to see this closer to the $10-$12 range or have more non-memorabilia insert cards included. Whenever you open a box that you know is going to have six hits, it's a pretty fun break. Knowing that you can pull autographs and memorabilia of some of hockey's all time greats makes it even better. The non-memorabilia insert sets are very interesting and I would have liked to have more than two included. Although the Stanley Cup may be considered the pinnacle hockey players reach for, the international stage been the setting for many of the sport's most memorable moments. For instance, ask any Canadian who was alive in 1972 and they could probably tell you exactly where they were when Paul Henderson stood alone in front of the Russian net and slid the puck past Vladislav Tretiak for the Summit Series-clinching goal versus the Soviets. The Great White North is a common theme in the middle of many of hockey's greatest international battles. 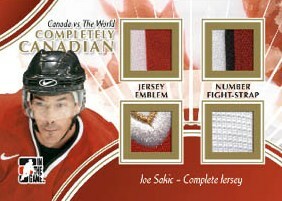 In the Game tackles these rivalries with 2011 Canada vs. the World Hockey, a premium series of hockey cards that includes nine cards in every single-pack box. Each box has four game-used memorabilia cards and two autographs. 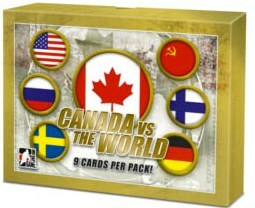 Canada vs. the World is the last release to include In the Game's 100 Years of Hockey Card Collecting cards. Two autographs in every box from some of hockey's greatest international players, including Mario Lemieux, Steve Yzerman, Vladislav Tretiak and Pavel Bure. Game-used memorabilia (four per box) highlights: International Goalies, World's Best, Canada's Best, Completely Canadian, Canadian Cloth and My Country, My Team. 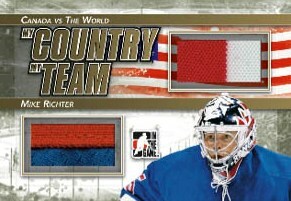 Patches and multi-swatch cards included on many of the memorabilia inserts. Includes the final 25 cards in the cross-brand 100 Years of Hockey Card Collecting set, which feature painted images on mini cards. 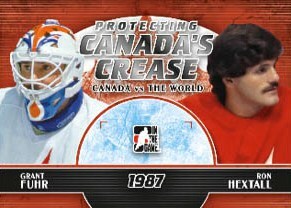 Basic insert sets include Great Moments and Protecting Canada's Crease. Cards made in a basement with no NHL license that hold no value. Garbage. Perhaps to some. Others may enjoy the international aspect of them or having certified signatures. The good thing is that there’s choice and options. This is a great product that I got good value from, I broke several of these boxes and sold the contents making a profit, Some great quad mem hits! I recommend this great product!